It's the rule: When a game hits its second remaster, the title must get longer and more convoluted. 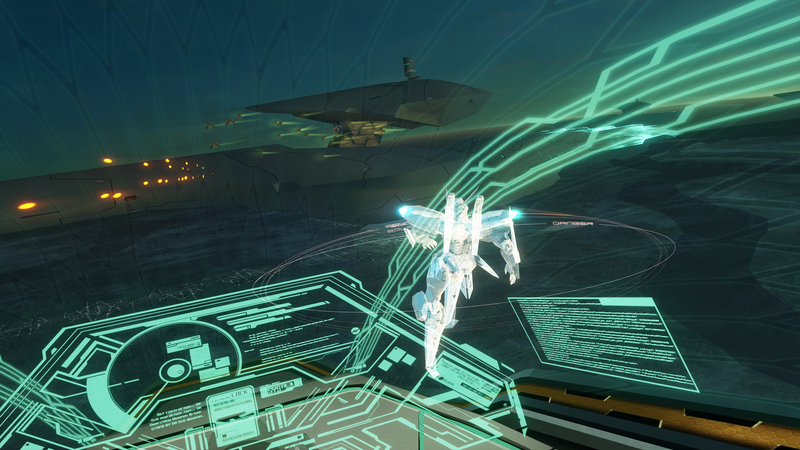 So, for the PS4 (and now PC) 4K remaster, it's now Zone of the Enders: The 2nd Runner - Mars. It's a substantially repolished version that fixes some of the major issues with the first remaster, but it's the virtual reality component on PlayStation VR which stands out. Giant mech robots work well in VR, and ZOE2 remains an enjoyable sci-fi mech fighter even more than a decade later. Initially, Konami planned to upgrade the entire game to 4K -- with no plans for VR. But after Sony debuted its PlayStation headset, the team decided to test out a few levels in PSVR, and discovered that "it worked out pretty well", adds producer Noriaki Okamura. The result was that the entire game was not only remastered in 4K, but completely realized in VR too. If you haven't played ZOE before, it's a third-person shooter / fighting game which combines long- and close-ranged combat. In VR, the team had to make changes to both streamline what's happening in game, and also help reduce any motion sickness. When you're swinging your blade or throwing enemy robots in VR, it's hard to tell what's going on. "[Because] we're moving to first-person, we've added a projection of JEHUTY (the robot suit) to the HUD, which helps communicate what you're doing," explains Cygames' project manager Kenichiro Kondo. The shift to VR is not entirely perfect: Close-range battles with multiple enemies were a bit dizzying. My demo included few battles against roughly 30 tiny drone enemies. They're easy enough to kill, but attempting to do so with your blade, rather than shooting them with heat-seeking missiles, will make the character jump between auto-locked enemies. ZOE on PSVR is at its best when you either have distance from multiple enemies, or are centered on rival orbital frames (big robots) piloted by human antagonists. Judging from the first chapter I played through, Konami has translated the robot mech series well. Is there a future for Zone of the Enders? According to Konami that will depend on how fans (and new players) react to Mars. The game launches on PS4 and PC on September 6th.